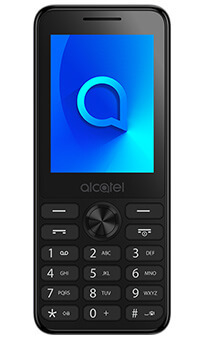 The super-slim Alcatel 20.03 is an affordable, practical phone offering you easy navigation, durability and a microSD card slot with up to 32GB extra storage. 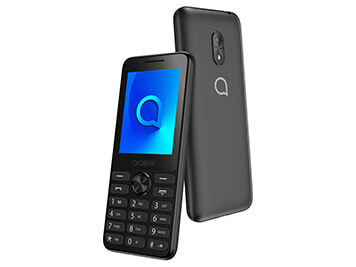 The Alcatel 20.03 comes complete with little border surround giving you a greater screen to body ratio, and a modern, innovative look and feel. At only 10.3mm, it's also super-slim and boasts an impressive metallic painted finish. 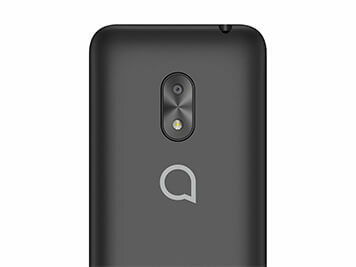 Featuring a rear camera with flash and great quality video, the Alcatel 20.03 also gives you the option of additional space with its microSD slot - that's up to 32GB of extra room for your photos. Experience a simple menu navigation. 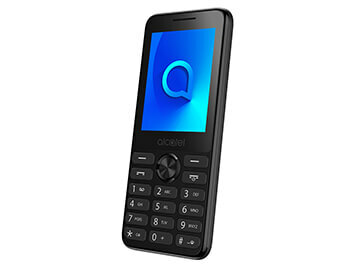 The Alcatel 20.03 features a 2.4-inch screen and provides you with large backlit keys, so you're guaranteed to press the right key every time. For quick access to your messages, simply press the '5' key.